Track your blood alcohol content & keep safety in mind. Watch Your BAC is a program of DACCO (Drug Abuse Comprehensive Coordinating Office, Inc.) in Tampa, Florida, in partnership with local colleges and universities. It is funded by the Florida Department of Children and Families. It is a multi-award nominated non-profit organization with a history of contributing to the Tampa Bay community. 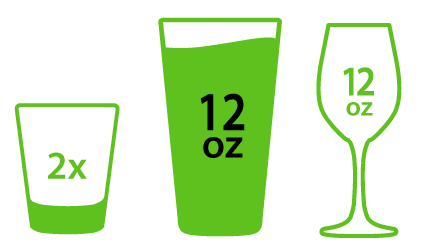 Powered Labs designed and produced the Watch Your BAC app, a social app to monitor your alcohol consumption by entering your height, gender, weight, and each drink you consume. The app will help you “stay in the green” and alert you as you approach the “danger zone.” In our updated version, Watch Your BAC allows you to create parties with your friends, designate a driver, and watch each other’s blood alcohol level. 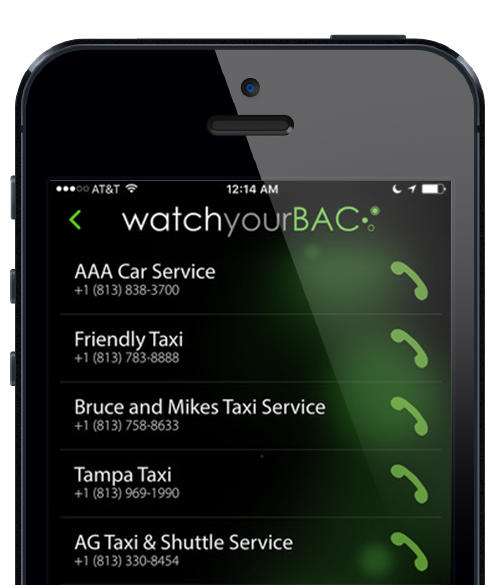 Use the Watch Your BAC app to easily monitor your alcohol consumption by entering your height, gender, weight, and each drink you consume. The app will help you “stay in the green” and alert you as you approach the “danger zone.” The intent of the app is to educate on the nature of Blood Alcohol Concentration, help you monitor your consumption, and encourage you to make safe choices. Watch Your BAC makes it easy to keep track of every drink you have. Just swipe through the glasses to the beverage you just finished and add it to your record. Your BAC meter will update with your current BAC. You can also set a limit for yourself before your first drink. If you pass your limit you’ll be alerted so you know when it’s time to get some water. Heading out with a group of friends. 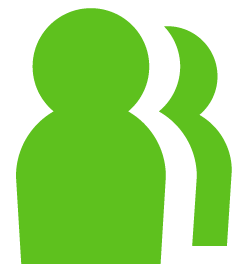 Start a private group so you can have each other’s BAC’s. See each persons BAC and if they have reached or exceeded their limit. If you’ll need a ride you can even pick a Designated Driver and post a short message to let the group know the plan for the night. With location it is essential to keep your privacy in mind. We made sure that you always decide who to make a group with. We created and published the Watch Your BAC Facebook App page to cross-pollinate our marketing strategies with the mobile application. This way users were able to sign up using their Facebook login credentials, tapping into a wider base of potential users. After getting a great reception from our iOS user base, we received lots of requests to implement the same great social application on the Android platform too. Our team put together the code to match the same features available to iOS.